This Floral Tankini Swimsuit comes with High Waisted Bottoms for more coverage. Comes in two patterns, Green Leaves and a Pink floral version with horizontal stripes. Ready to hit the beach when you are! • There may be a 1-2cm deviation in difference in size and stretch of fabrics. • Colours may appear slightly lighter or darker depending on your screen calibration. • Please wash by hand in 30 degree water and hang to dry in the shade. Do NOT Bleach. • Slight difference may be noticed in the fine details of the printed pattern than what is shown. Beautiful, the shipping was very fast. Very, very satisfied. 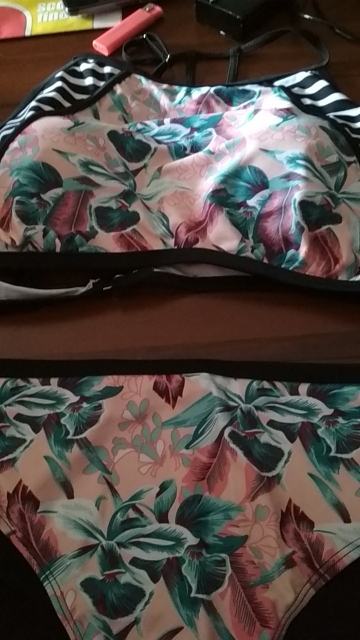 I underwent a mastectomy and this swimsuit holds the prosthesis in place with room to adjust. Just perfect. Order came quickly. Ordered on Aug 2nd and it arrived Aug 20th. 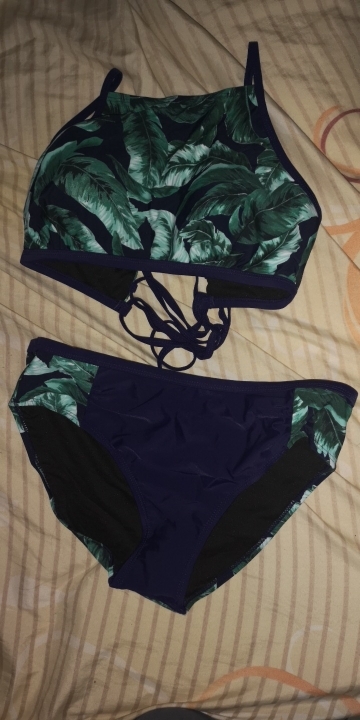 Very happy with this bathing suit! Good quality! The quality is good. Delivery fast. But we had to take a size smaller. Have to order in another size. Not much to say except… Great. Check out the image below to see a real shot of it. Shipped pretty quickly. Accurate size was given, just as ordered. Loved it! The fit was true to size & the quality is good. Would buy from here again. The cut may not work for women with smaller bust sizes though.